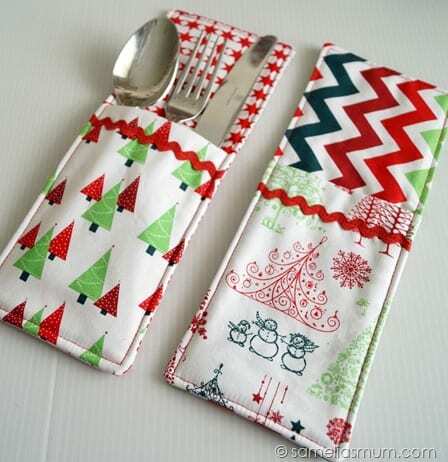 Time to sew this Festive Cutlery Pockets! Super cute and easy to make. A great project for beginners. This Pinch Grip Oven Mitten is also a great item to sew for your kitchen.